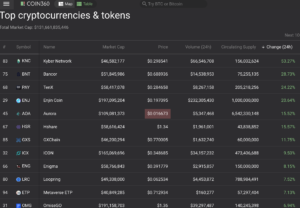 It is looking like we have some Altcoins besides EOS projects doing fairly well. 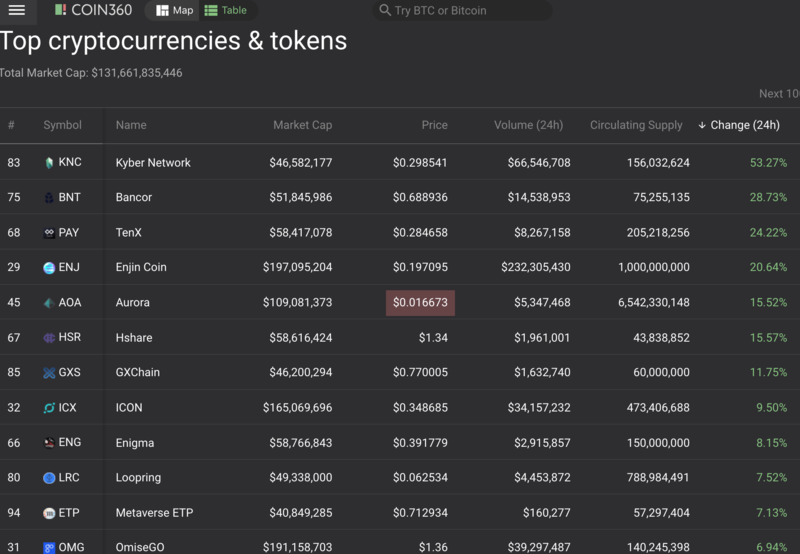 Kyber Network (KNC) 53%, Bancor (BNT) 28%, TenX (PAY) 24%, Enjin Coin (20%), Aurora (AOA) 15%, Hshare (HSR) 15% and GXChain (GXS) 11%. 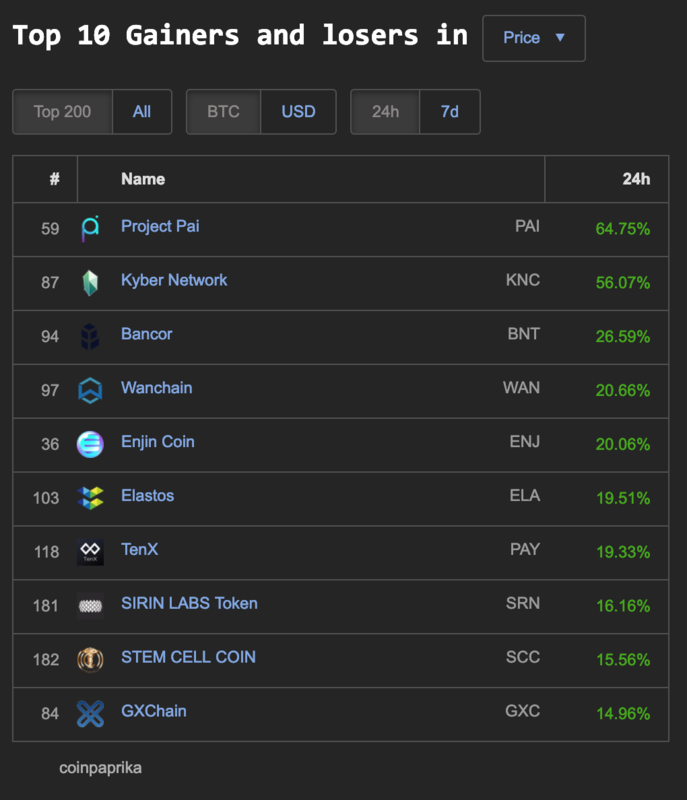 Project Pai (PAI) 64%, Kyber Network (KNC) 56%, Bancor (BNT) 26%, Wanchain (WAN) 20%, Enjin Coin (ENJ) 20%, Elastos (ELA) 19%, TenX (19%), Sirin Labs Token (SRN) 16%, Stem Cell Coin (SCC) 15% and GXChain (GXC) 14%. 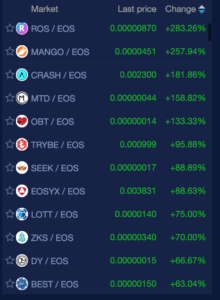 NewDex.io has 4 coins trading with EOS that have over 100% gains today: MANGO (257%), CRASH (181%), MTD (158%) and OBT (133%), and another 25 with double digit percentage gains. 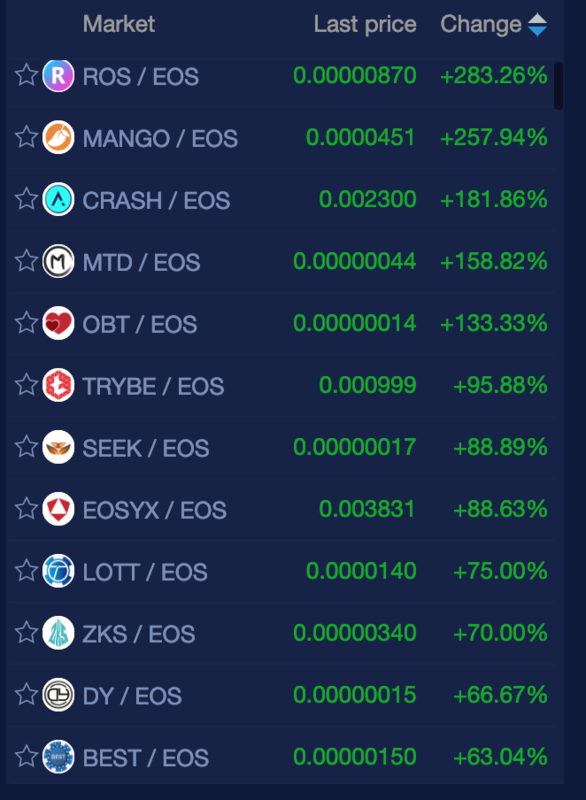 The largest gains were made today with coins trading on the EOS platform. 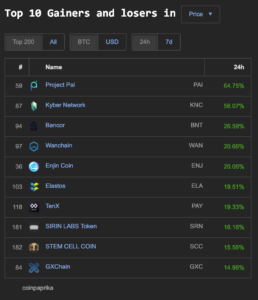 Some non-gambling standouts include: TRYBE (95%), SEEK (88%), ZKS (70%), BOSRED (49%), EOSDAC (36%), LITE (36%), HORUS (25%), OCT (22%), PGL (16%) and KARMA (12%) and others.